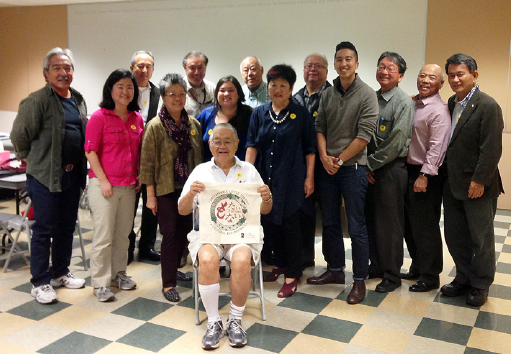 Howard Nishimura (seated) was honored by the Little Tokyo Community Council board at its meeting on Nov. 25. Nishimura is a past board chair of LTCC and a member of the Historic Cultural Neighborhood Council. He has also been active in Little Tokyo Lions Club, Nisei Week Foundation, and Tokyo Villa Homeowners Association. Nishimura stepped down from the LTCC board and will be retiring in Thailand, but he promised to return regularly to J-Town.